1. 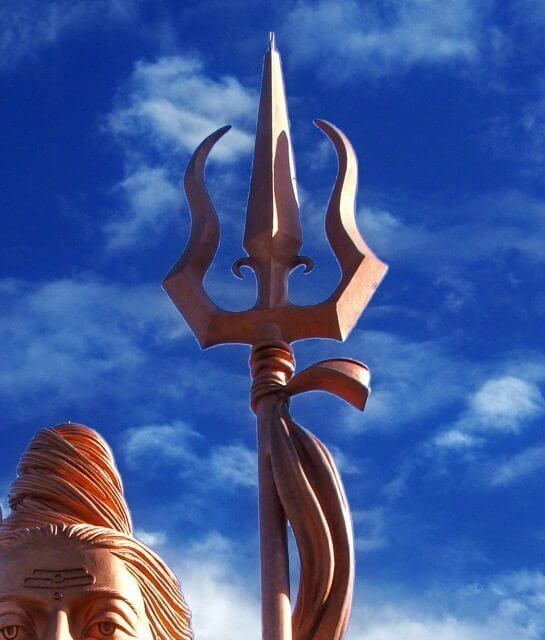 Shiva’s Trishul or Trident symbolizes the unity of 3 worlds of a human being-his inside world, the immediate world around him and the broader world, a harmony between the 3. 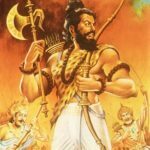 The crescent moon on his forehead that gives him the name of Chandrashekar, dates back from the Vedic age when Rudra and Soma, the Moon God, were worshipped together. The Trishul in his hand also represents the 3 Gunas-Sattva,Rajas and Tama, while the Damaru or the drum represents the sacred sound OM from which all languages are formed. 2. Bhagiratha prayed to Lord Shiva for getting the Ganga to earth, which would flow over his ancestor’s ashes and grant them salvation. However when Ganga was descending to Earth, she was still in a playful mood. She felt she would just rush down and sweep Shiva off his feet. Sensing her intentions, Shiva, imprisoned the falling Ganga in his locks. It was again on Bhagiratha’s plea, that Shiva let Ganga flow from his hair. The name Gangadhara comes from Shiva carrying Ganga on his head. 3. 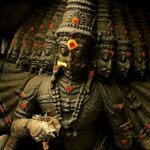 Shiva is represented as Nataraja, the Lord of Dance, and there are two forms, Tandava, the fierce aspect representing destruction of universe, and Lasya, the gentler one. The demon being surpressed under Shiva’s feet is Apasmara symbolizing ignorance. 4. Shiva along with his consort Parvati is represented in the Ardhanarisvara form, which is a half male, half female icon. 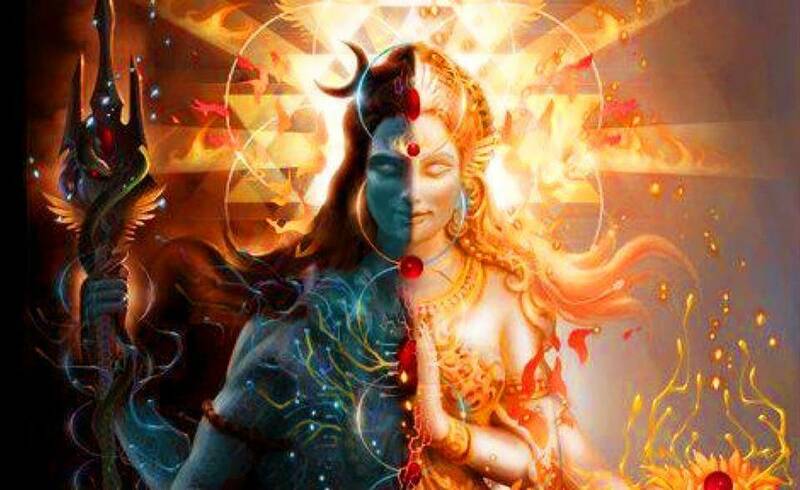 The concept is of the masculine energy(Purusha) and feminine energy( Prakrithi) of the universe in a synthesis. At another level, this is also used to symbolize that in a marital relationship, the wife is one half of the husband, and has an equal status. That is the reason why Shiva-Parvati are often held as examples of a perfect marriage. 5. Kamadeva, the Hindu god of love, Cupid’s equivalent albeit clothed, was burned to ash by Shiva. This was when Devas were waging a war against Tarakasur. He could only be defeated by Shiva’s son. But Shiva was busy in meditation and well, no one procreates when meditating. 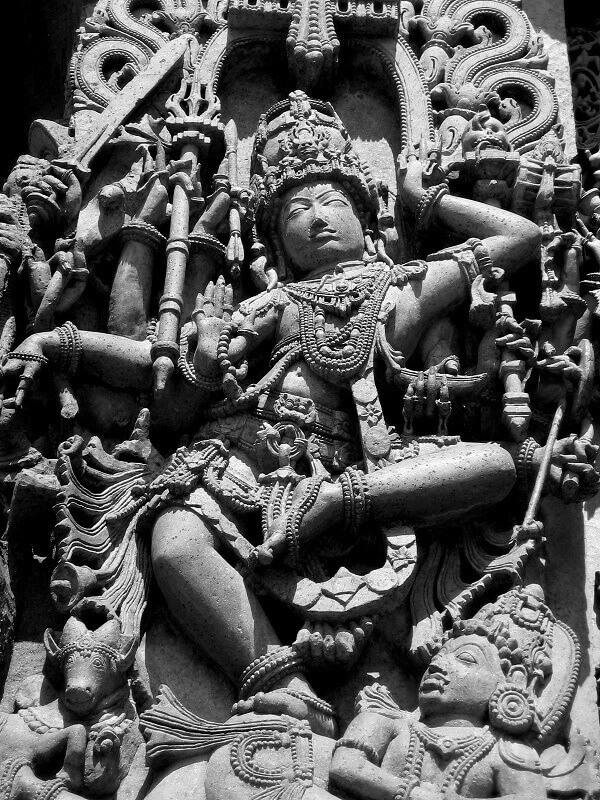 So Devas asked Kamadeva to pierce Shiva with his love arrows. He managed except Shiva woke up in rage. Apart from Tandava, the other thing that Shiva is known to do in anger is open his third eye. If he views anyone from his third eye, then the person is burned down. This is exactly what happened to Kamadeva. 6. 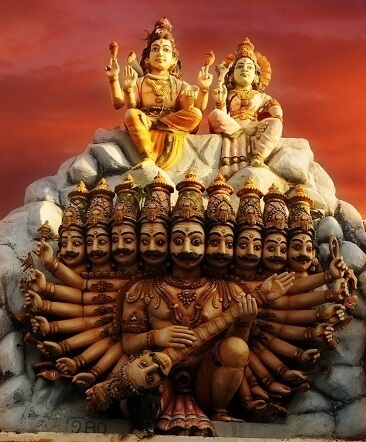 Ravana was one of Shiva’s greatest devotees. 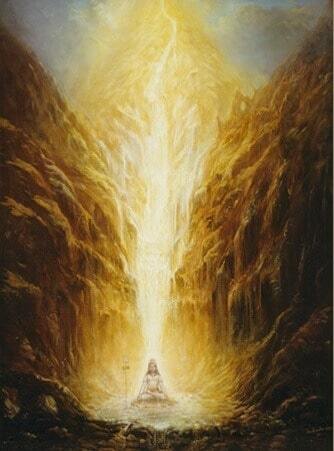 Once he tried to uproot Mount Kailasa, Shiva’s abode in the Himalayas. I cannot remember the exact reason why he wanted to do so but anyway, he could not succeed in this endeavour. Shiva trapped him beneath Kailasa. To redeem himself, Ravana started singing hymns in praise of Shiva. He cut off one of his heads to make a veena and used his tendons as the instrument’s string to make music. Eventually, over many years, Shiva did forgive Ravana and freed him from under the mountain. Also, post this episode, Shiva was so moved by Ravana’s prayer that he became his favorite devotee. 7. 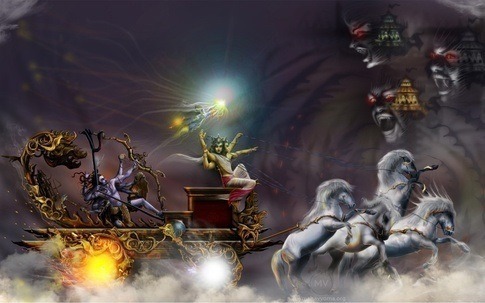 He is known as Tripurantaka because he destroyed the 3 flying cities Tripura with Brahma driving his chariot and Vishnu propelling the warhead. 8. Shiva is a pretty liberal God. He allows everything which is otherwise considered unconventional or taboo in religion. One need not follow any set rituals to pray to him. He is not a sucker for rules and is known to grant wishes to anyone and everyone. Unlike Brahma or Vishnu who want their devotees to prove their mettle, Shiva is fairly easy to please.